Deborah is known for her work in consumer branding, including research on brand dilution, brand extensions, self-brand connections, self-enhancement and brands, and brand measurement. Her current projects examine consumer behavior and luxury brands. Her work has appeared in the Journal of Consumer Research, Journal of Marketing Research, Journal of Marketing, and Journal of Consumer Psychology, and has received coverage in media outlets such as The New York Times, MSN, Time, and AOL News. 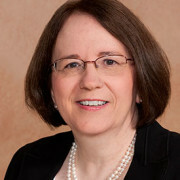 She currently serves as an associate editor for the Journal of Consumer Psychology, is a member of the editorial boards of the Journal of Consumer Research, Journal of Marketing Research, and Journal of Public Policy & Marketing, and is a past-president of the Association for Consumer Research. Professor John teaches Brand Management at the undergraduate, MBA, and Executive Education levels. Her consulting activities include providing strategic guidance for branding issues and serving as an expert witness in trademark and brand dilution litigation. She holds a Ph.D. in marketing from the Kellogg Graduate School of Management at Northwestern University.